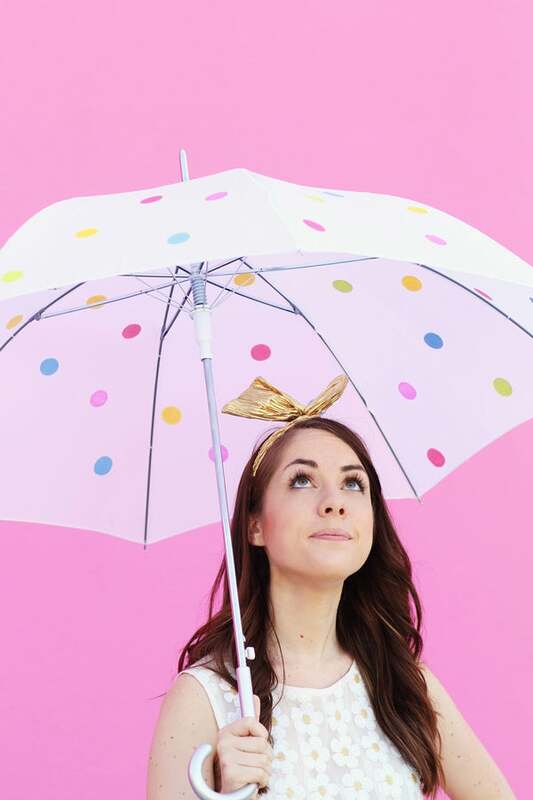 DIY This Polka-Dot Umbrella — Rainy Days, Beware! 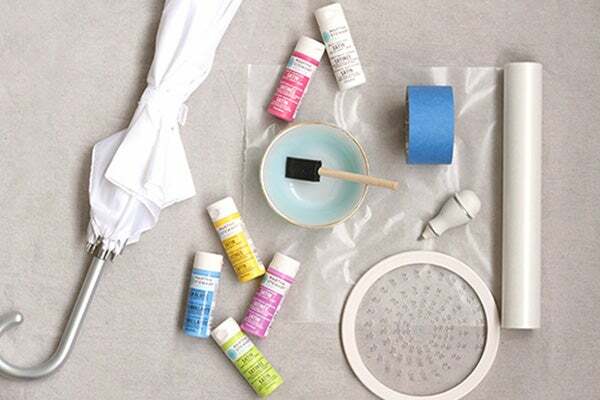 • Tape a section of blue tape onto the wax paper. 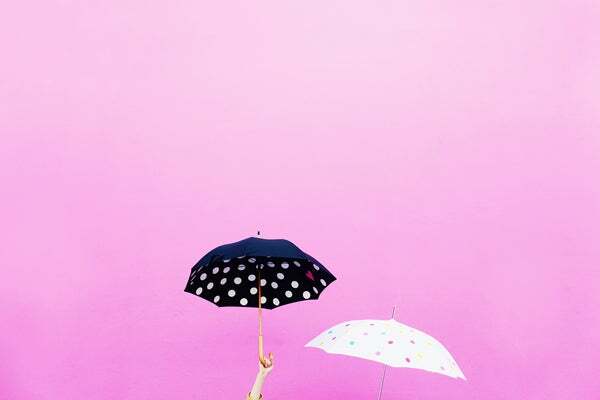 • Pull the tape off the wax paper and transfer onto the umbrella in a desired place and smooth down. • Paint the stencil. We recommend applying two coats. 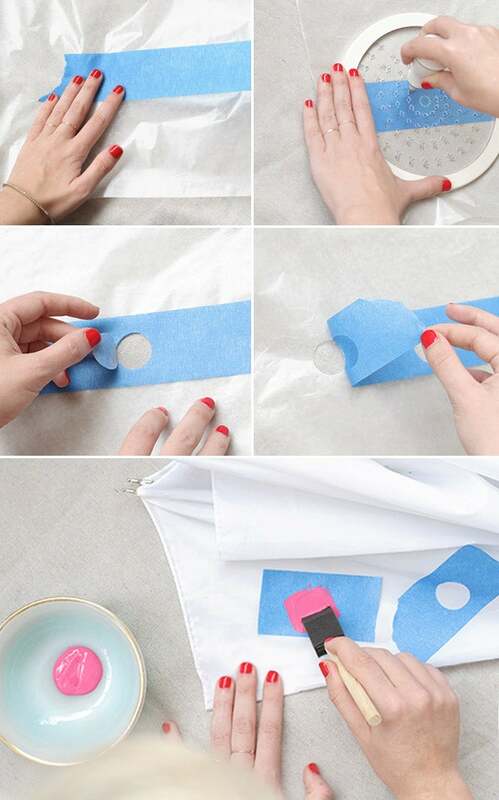 • Let it dry completely, then peel off the tape. Voilà!